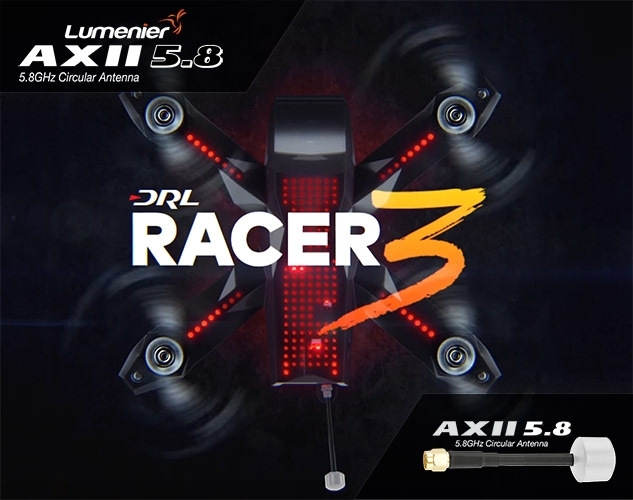 AXII 5.8GHz Antenna makes a giant leap forward in FPV antenna technology. Lumenier, in collaboration with renowned FPV antenna designer Hugo of TrueRC, brings you one of the smallest, lightest and best performing FPV antennas in the world. The AXII antenna is an original design that features a new RF pathway technology (unique hybrid network) allowing it to be incredibly light weight (7.6g) and less than half the size of most other 5.8GHz CP antennas.